Breaking the Bank: Fishing Reports?? Does anybody have a Black Butte Lake fishing report?? I find myself searching the internet on this quite often! Black Butte Lake is a lake in Northern California about 20 minutes west of Orland, CA. It is known as a decent smallmouth, largemouth and spotted bass fishery and an exceptional crappie and monster catfish mecca. With all that information you would think you would be able to find a single fishing report on it, but not at all. Or at least nothing recent. Not a single one covers Black butte lake on a regular basis. One of the moderators told me it had to do with lack of a reliable source for a fishing report. While this is an acceptable answer, it still doesn’t give me what I want. So this is what I dream about: One fishing report source! One single stop where I could check and get a report on any water I desire, not just the popular (larger) ones. And I don’t just mean this for the one lake I’m ranting about, but all lakes and (dare I dream) all water ways out there. You would think this would be easy, but it isn’t. By the way, I have attempted to make such groups on face book and on other social networking sites with no avail. Lack of a reliable source- Nobody really checks how many of each type of fish people are catching at each spot. Who has time for that? What about having people log in themselves and tell you what they are catching? See the last bullet on this list. People don’t want to share their spots – It’s a time-honored tradition. You have your secret fishing spots and you don’t want anybody to know about them. Especially if you are a bank angler in which case, the few spots we can access, we don’t want to share not only due to over-fishing an area, but this also brings morons who litter! 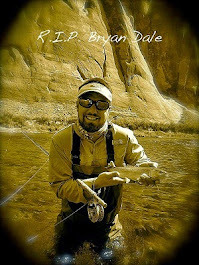 Some people aren’t internet savy – just because me, my faithful readers, and fellow bloggers are able to write blogs and check websites and send fishing reports doesn’t mean everybody else who can cast the ol rod n reel can also handle this whole “internet, computer” thing! Some people just don’t want to- Why update a fishing page when I could be fishing more? Or doing something else or doing nothing for that matter? Don't think you will ever find a reliable site for fishing reports like you want. What you can do is find a good online fishing community, get out there and meet folks. Then when you want to fish a body of water you know who fishes it and can ask how the action is. It is a lot of work but is worth it. This was all I could find for you.